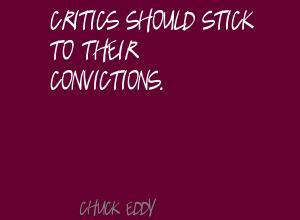 See the gallery for quotes by Chuck Eddy. You can to use those 7 images of quotes as a desktop wallpapers. 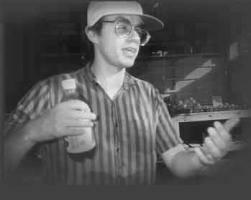 By the late '80s, I was already giving up on rap music. 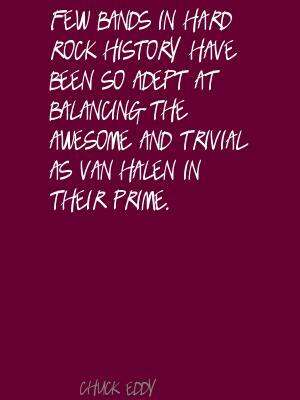 Few bands in hard rock history have been so adept at balancing the awesome and trivial as Van Halen in their prime. Gary Allan has long been one of country's most reliably velvet-voiced beautiful losers. I'm that grumpy old guy yelling at all those pesky little Grizzly Bear fans to get offa my lawn. 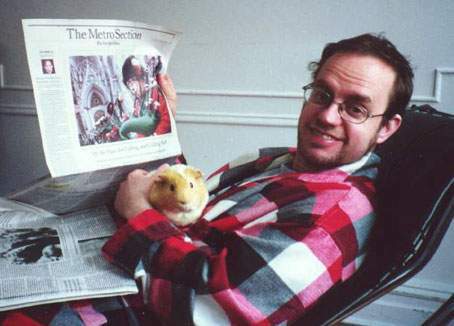 If I am thinking the same as everyone why bother pushing to get it published? Mayer Hawthorne's old school pop-R&B homages are so meticulous that it's tempting to overrate his pipes. California club pop chirper Dev's debut is as stark as it is sweet. This is owed partly to the casually giddy lightness of her talk-singing - familiar from her slizzered 2010 cameo on Far East Movement's smash 'Like a G6,' and around-the way-girl frisky like 1980s Latin freestyle. 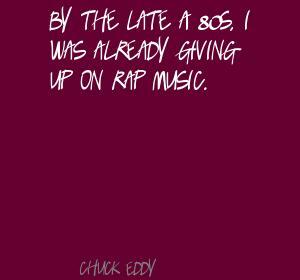 No band on 21st-century radio has mined pre-grunge hair-metal's sleaze like L.A.'s Buckcherry. 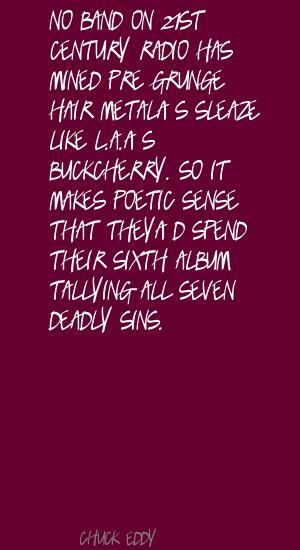 So it makes poetic sense that they'd spend their sixth album tallying all seven deadly sins.